Casual luxury, lightweight, roomy & functional for all daily essentials. Great for trade shows, conventions and business meetings. 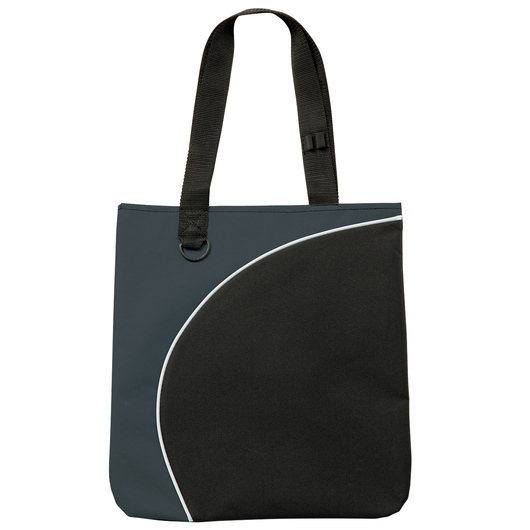 This high quality tote bag is both stylish and unique. 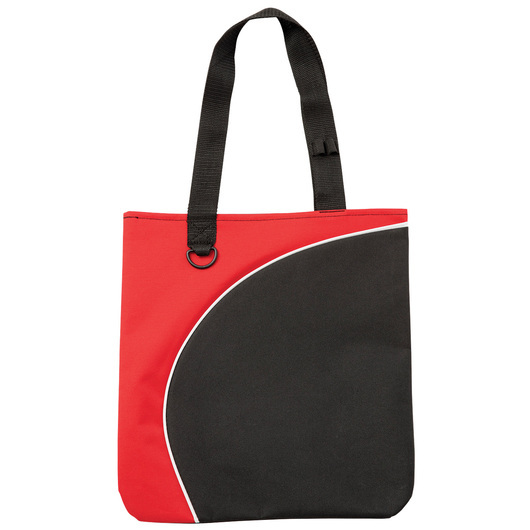 It has a stylish curved front panel with piping, webbing carry handles, D-ring for keys or carabiner, pen loops on carry handle, and business card holder on back. 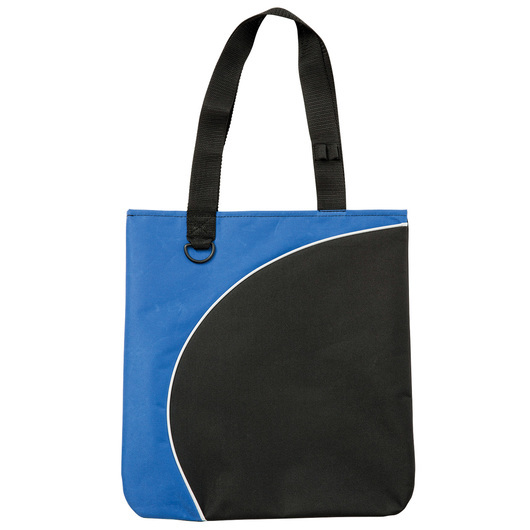 It has a carrying capacity of 1.5 litres and made from the durable 600D polyester material. 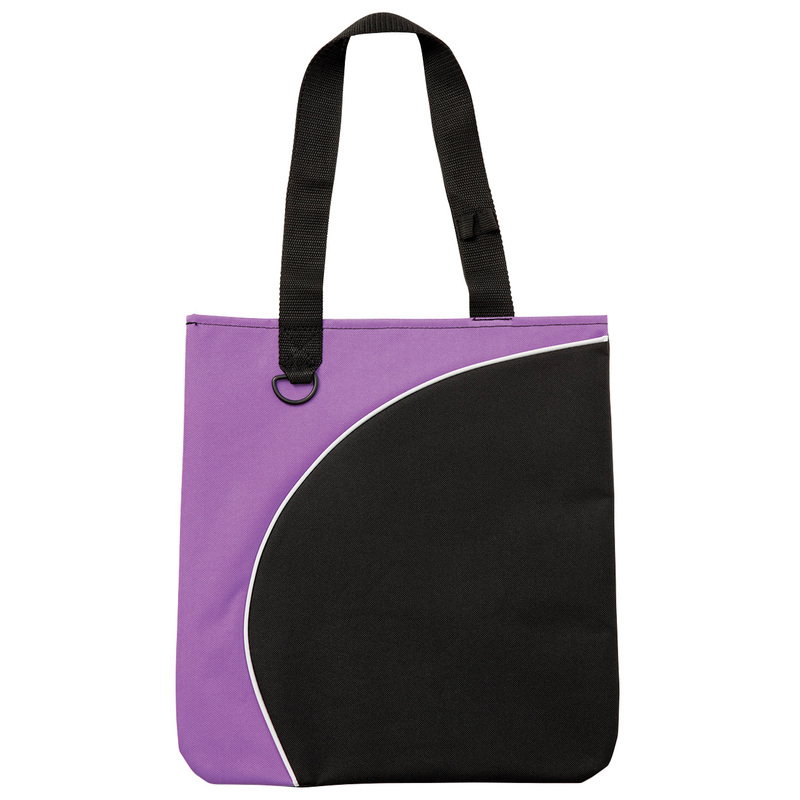 Lightweight, roomy and functional, great for everyday use. Strong enough for all your day-to-day needs. A great gift for you and the one you like to stand out in the crowd with its unique, cool look!